Activtrades trades over 50 currency pairs, indexes and commodities. Two types of trading accounts that can easily be catered for the needs of the user. Minimum deposit is $100. Muslim users can easily make their account swap free. Spread starting from 0.5 pips. What is really lacks is that there is no support for social trading. Original bonus rewards system: the points are attained and exchanged for cash or good gifts such as iPad, tablets etc.). There is also welcome bonus (1,000 points), referral bonus (1,500 points). Withdrawal via the following payment systems: bank transfer, VISA, Mastercard, Neteller, Scrill, Sofort. This is a FCA (Financial Conduct Authority) regulated broker. That means that clients’ funds and the funds of the company are separated. There is a mobile trading platform, loyalty reward, dedicated customer support. Other advantages include big number of education videos, webinars, seminars and a big number of free trading exclusive tools that extend the functionality of trading system. Is ActivTrades scam or not? 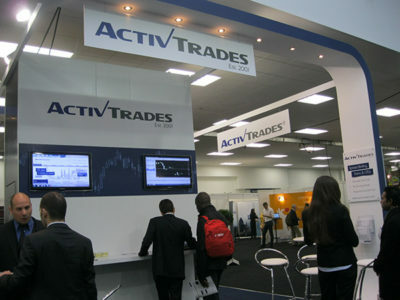 I enjoyed trading using ActivTrades platform. The spreads are good, the customer support is good, no commissions, and the trading policies are good enough to trade without any negative thinking in mind. What else I need!